Choose your desired style. each pendant with ONE style of your choice. They are simple, but exhibits lots of sparkles down from your earlobe. 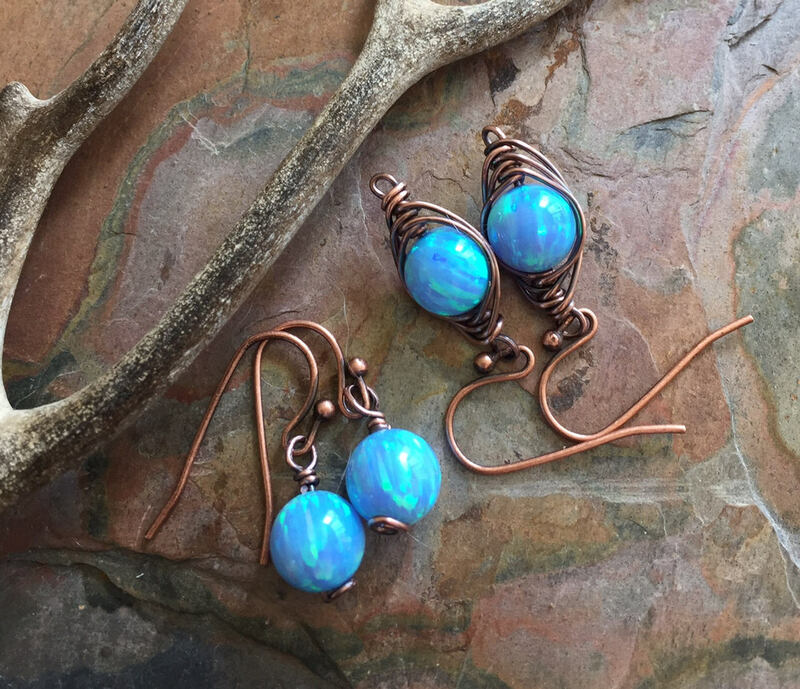 They dangle freely 1/2 inch from the bottom of the .925 sterling silver earwires. 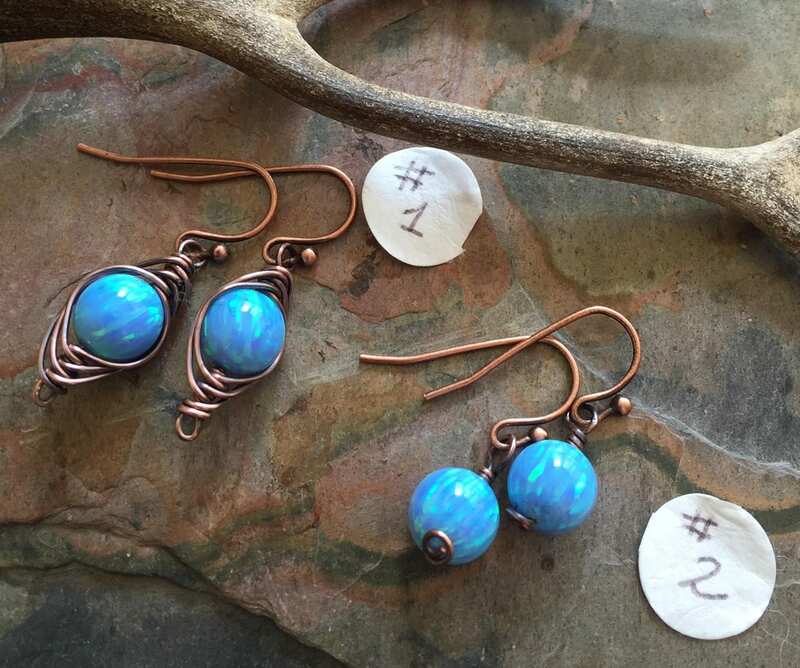 Sure to be one of your favorite pair of earrings. Perfect for October birthday gift. Great to go with your casual to dressy occasions. 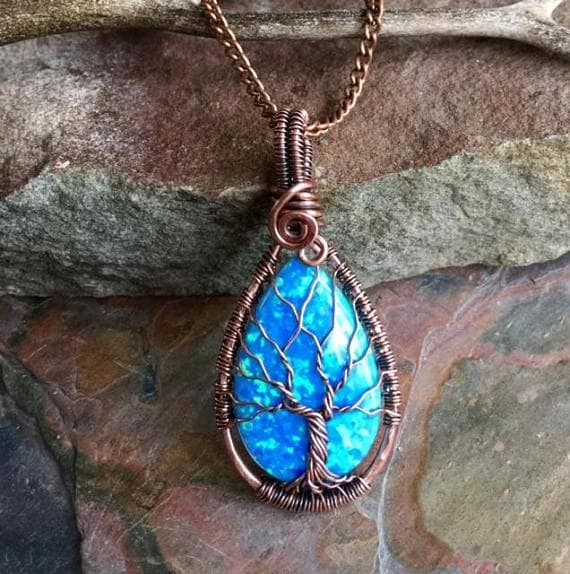 Available in necklace: This gorgeous dazzling teardrop simulated/synthetic Opal is wire wrapped with an antiqued copper wires. The pendant has been hammered & forged to give strength & texture to bring out the stunning details of the finished pendant. Our Synthetic Opal stands for quality. This synthetic white Opal displays beautiful array of iridescent colors. Opal-like Plastic is NOT the same material as our Impregnated Synthetic Opal. The finished pendant measures 1.80 inch(42mm) from top of the bail to the bottom of the pendant, 1 inch(25mm) across. 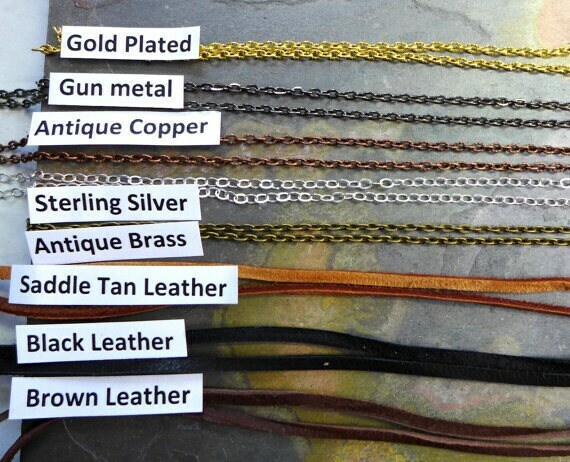 The pendant comes on a chain or your choice of Deerskin lace leather. *ABOUT SIMULATED OPAL: “Opal" originates from the Latin word “Opalus” It is called opal the “Queen of Gems” because it encompasses the colors of all the other gems. 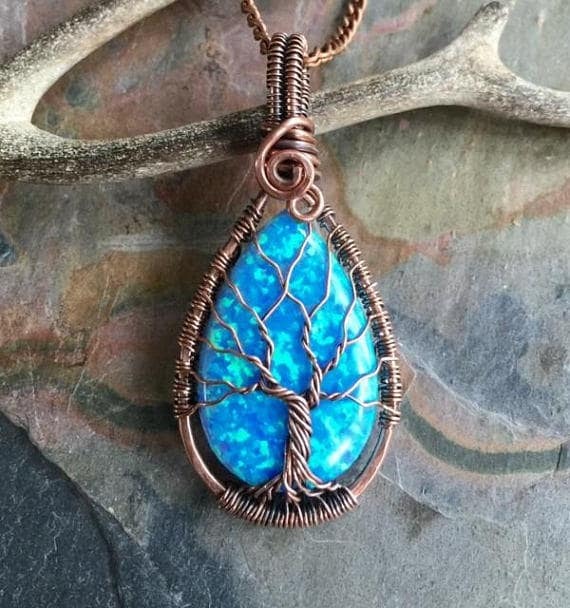 Opal symbolizes hope and purity. It is a gift granted by the heaven in bolts of lightning and unfolds the “Nature’s fireworks” before one’s eyes. 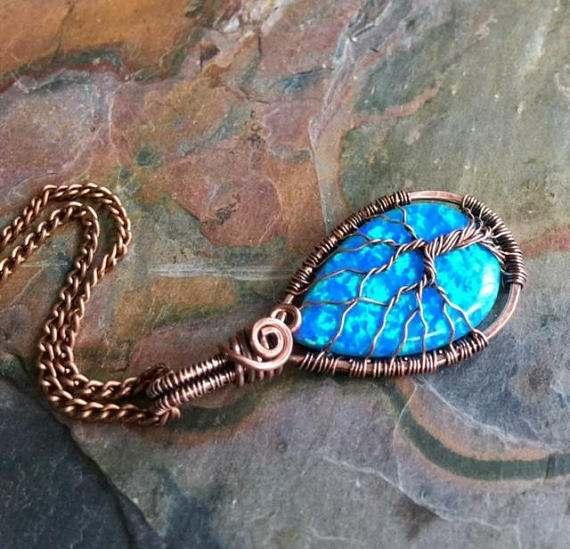 Simulated /Synthetic opal has similar properties as that of natural opal. This opal has a beautiful rainbow like prismatic effect which revealed the beauty of Precious Opal.